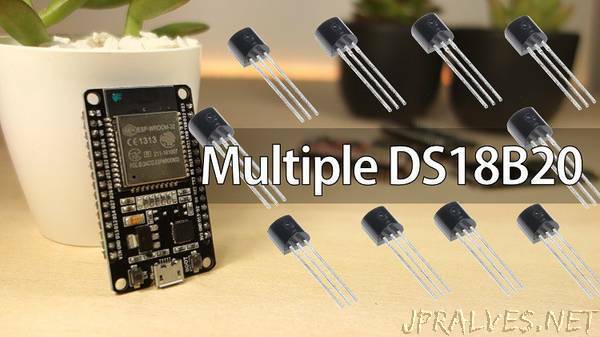 “This guide shows how to read temperature from multiple DS18B20 temperature sensors with the ESP32 using Arduino IDE. We’ll show you how to wire the sensors on the same data bus to the ESP32, install the needed libraries, and a sketch example you can use in your own projects. This tutorial is also compatible with the ESP8266 and the Arduino boards.